This YO-3 suffered significant crash damage. This photo was generously donated by Joe Serrano who remembers that this was a landing accident in which the pilots were not killed. The remains of the aircraft were slung out Tan Son Nhut for return of the aircraft to Lockheed for some repair work. 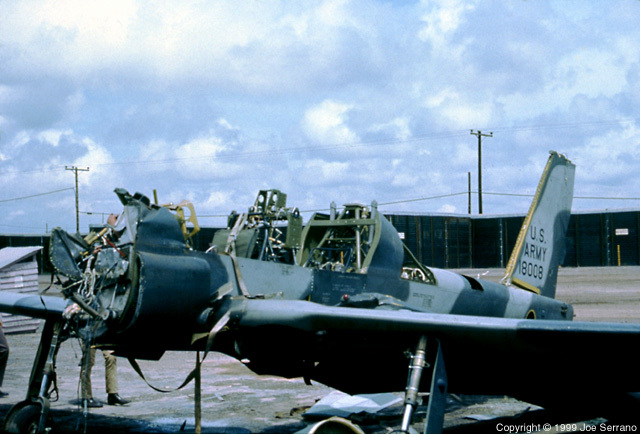 This photo was taken at a small Army airfield on the Plantation Highway near Long Thahn.